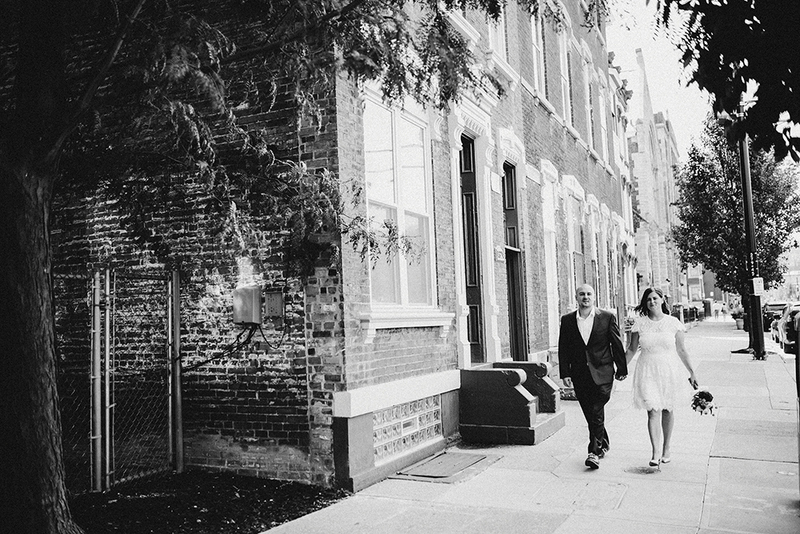 Two locals celebrated their love for each other and the Queen City with a courthouse elopement and a stroll through OTR. 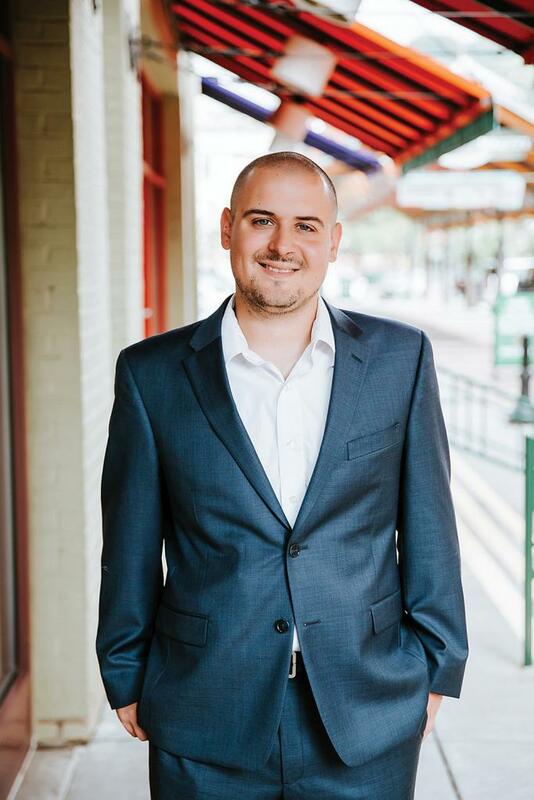 Linsey and Brandon Kraeling got engaged in Washington Park at the end of July 2016 and, much to everyone’s surprise, were married 40 days later in a private courthouse ceremony. 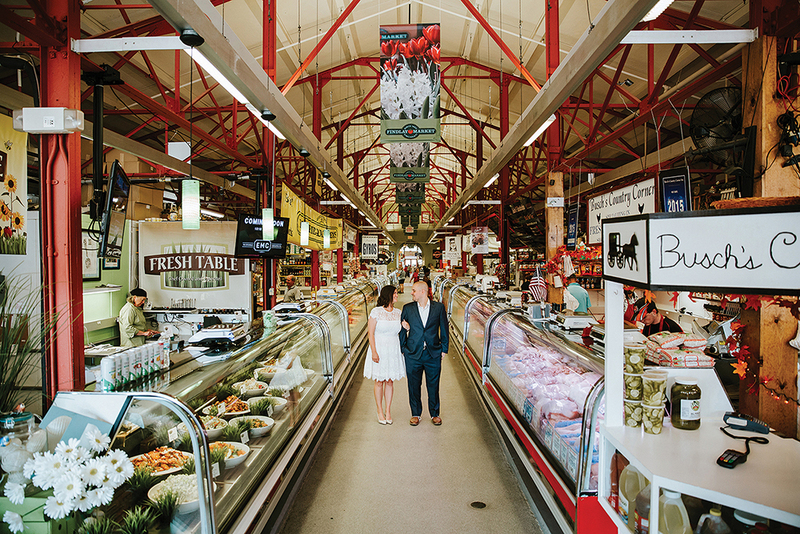 “We wanted our wedding to be about the two of us—just him and me and our favorite city,” Linsey says. 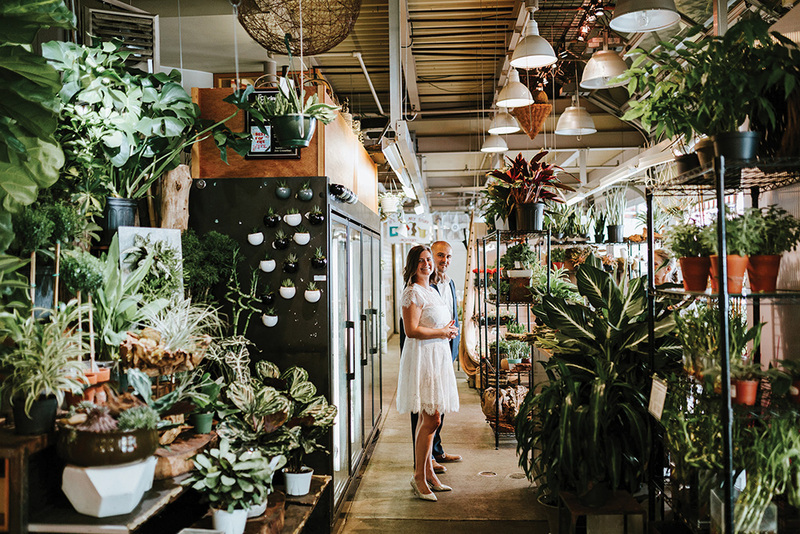 Linsey and Brandon are both serious Cincinnati enthusiasts—the bride, a graphic designer, authors a blog all about adventures in the Queen City—so obviously it was important that the couple patronize local vendors on their special day. 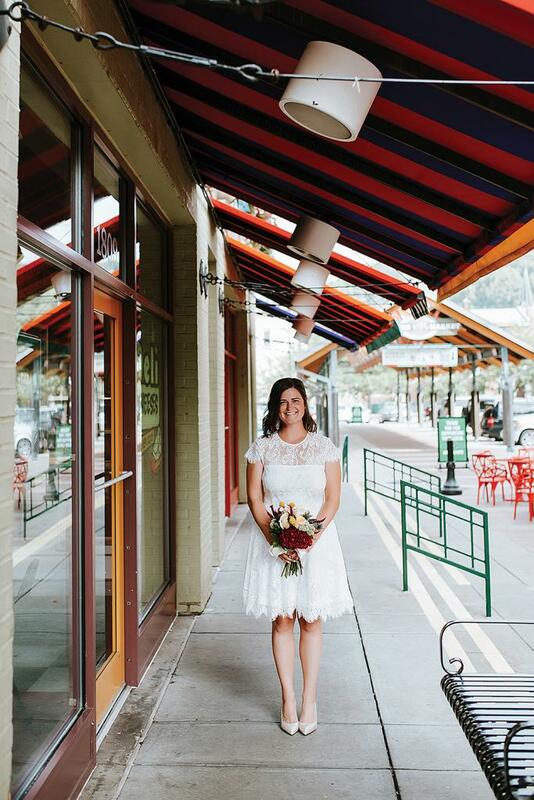 On Thursday morning, September 8, 2016, Linsey and Brandon headed to Findlay Market, where they met up with their photography team from Eleven:11 and Linsey chose the blooms for her wedding bouquet at Zinncinnati Floral Design. 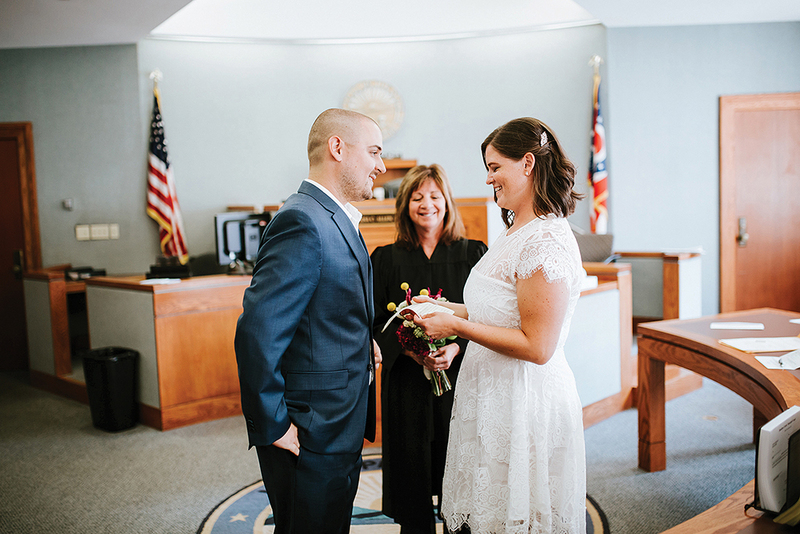 Then it was off to the Hamilton County Courthouse, where their two photographers served as the only witnesses to the couple’s wedding ceremony officiated by Judge Lisa Allen. Linsey says the only hitch was that their dog Franklin (who filmed their engagement with a Go-Pro on his back) couldn’t be a part of the ceremony; she even called ahead to see if the courthouse was dog-friendly, but no such luck. After the short ceremony, the newlyweds strolled through Washington Park, and then it was off to lunch down the street at Krueger’s Tavern. Sounds like the most relaxing wedding day you’ve ever heard of, doesn’t it? Later that night, the two had planned an “engagement dinner” with their immediate families at Moerlein Lager House, and they surprised their parents and siblings—big time—with the happy news. 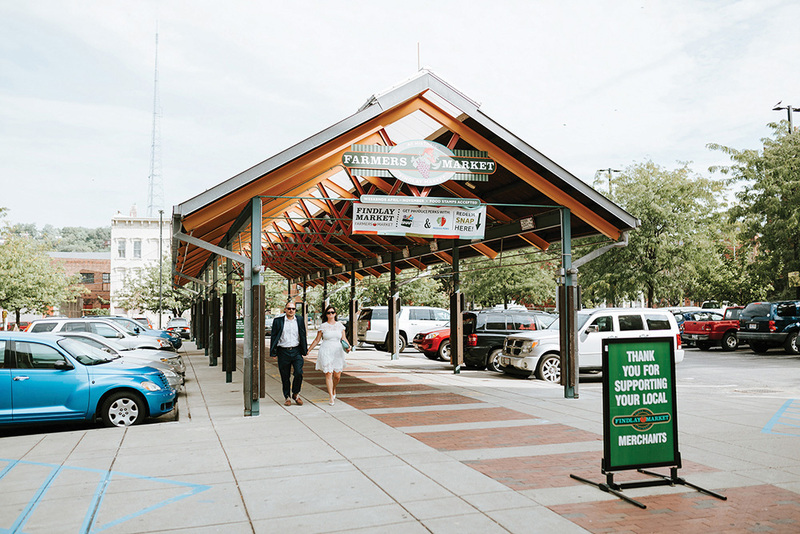 The next day was the grand opening of the Cincinnati Bell Connector; the couple jokes that they spent their first honeymoon on the streetcar. About six months later, Linsey and Brandon went on a second honeymoon to the United Kingdom and Ireland. They’re both huge soccer fans, so a major highlight of the trip was attending a Liverpool match together. 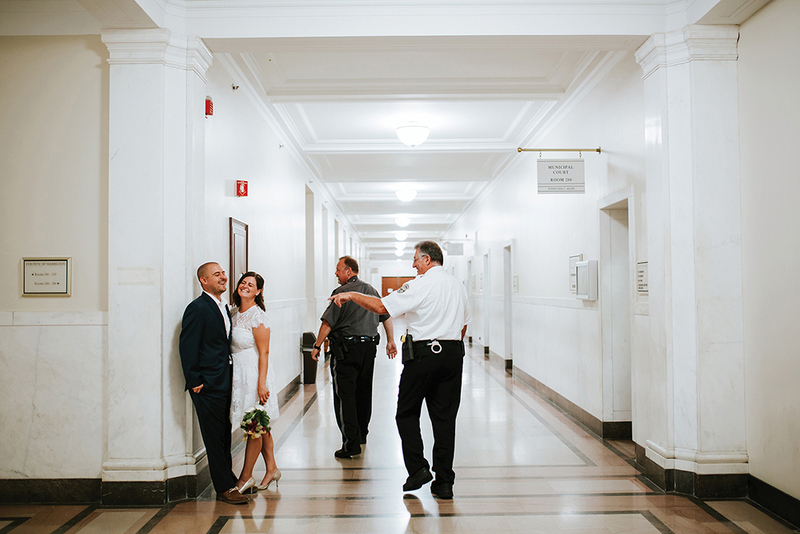 From choosing her flowers at Findlay Market to the ceremony with Judge Lisa Allen and a post-wedding walk through Washington Park, this couple’s courthouse wedding was simple—yet so meaningful. Previous articleReady for Your Next Binge-Worthy Podcast?